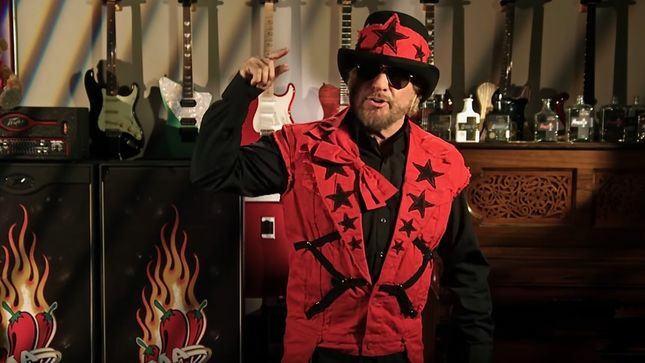 Set to premiere in May, the 12-episode run once again sees the Red Rocker traveling the country to interview and often perform with some of the most popular and influential musicians. The lineup of Season 4 guests includes Willie Nelson, Cheech & Chong, Robby Krieger of The Doors, REO Speedwagon, Joe Bonamassa, Charlie Daniels, celebrity chef/TV Host Guy Fieri, stock car superstar and NASCAR champion Jimmie Johnson, and a special drummers episode with Kenny Aronoff, Sheila E. and Jason Bonham, who gives an exclusive insider’s look at the making of his new album. Season 4 of “Rock & Roll Road Trip with Sammy Hagar” will premiere on AXS TV on Sunday, May 5 at 8 p.m. ET / 5 p.m. PT.